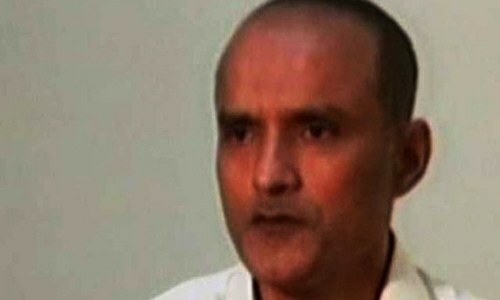 ISLAMABAD: Indian spy Kulbhushan Jadhav, who was last year convicted and sentenced to death by a military tribunal for spying, is now undergoing trial on terrorism and sabotage charges, an official told Dawn on Monday. The Pakistan government has, meanwhile, on a number of occasions sought access to 13 Indian officials to ascertain information in the Jadhav case — a fact that is supposedly also mentioned in the counter-memorial submitted at the International Court of Justice (ICJ) by Pakistan. But New Delhi has remained stubbornly uncooperative. The official explained that Jadhav has multiple cases against him in which he had been indicted on terror- and sabotage-related charges. The cases were progressing, he said, emphasising the one relating to spying had only concluded. Jadhav was captured by Pakistani security forces on March 3, 2016, in Balochistan. He was in April last year sentenced to death by a Field General Court Martial (FGCM) after being found guilty of espionage under Section 59 of the Pakistan Army Act (PAA), 1952, and Section 3 of the Official Secrets Act of 1923. His appeals against the conviction have been rejected by the military app­ellate court and his mercy petition is lying with Army Chief Gen Qamar Bajwa. About the access to 13 Indian officials, the source said, multiple requests had been made to India. A source in New Delhi, meanwhile, disclosed that the officials whom Pakistan wanted to access included National Security Adviser Ajit Doval and a former RAW chief for their involvement in recruiting and directing Jadhav’s activities. Others that Pakistan wants to access include intelligence operatives, bankers and passport officials. Besides, Pakistan has sought information about his Navy service file, bank record of his pension payment (if there is one as India had been claiming that he was a retired officer), and issuance of the passport in the name of Mubarak Hussain Patel. Pakistani officials want to know how the passport in the name of Patel was issued and whether it was original or fake. “We have asked if the passport is fake (then) how he exited Mumbai and Delhi airports 18 times,” the source said. 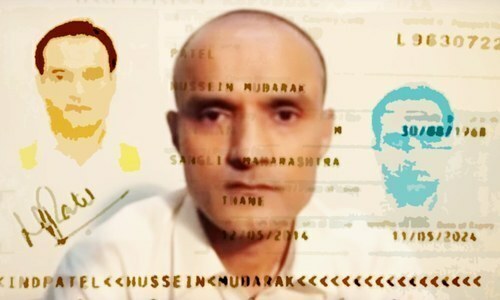 Particulars of Jadhav’s properties in Mumbai, Pune and other parts of Maharashtra, which he had acquired with the alias Hussain Mubarak Patel had also been demanded, the source said. The ICJ is currently hearing an Indian petition challenging Pakistan’s refusal to grant consular access to the spy. Memorial (by India) and counter-memorial (by Pakistan) have been submitted. The oral arguments are yet to commence as the court has allowed further written pleadings in the case by India till April 17, 2018, and a rejoinder by Pakistan till July 17. The world court had while ordering provisional measures in the case last May restrained the Pakistan government from executing him till it decides the case. The Foreign Office on Dec 25 hosted a meeting between Jadhav and his mother and wife. The meeting held as a goodwill gesture ended in a diplomatic spat between the two countries over the security checks Jadhav’s mother and wife underwent and the language restrictions during the meeting. Good luck...Pakistan is a very transparent and peaceful country. Pakistan is the only peace loving country in the world. @Bambu ... that was below the belt. Anyway good comment.